Best known for her exploration of Mexican anthropology and archaeology, Mariana Castillo Deball (Mexico 1975) graduated from UNAM’s Escuela Nacional de Artes Plásticas and earned a postgraduate degree from the Jan Van Eyck Akademie in the Netherlands. 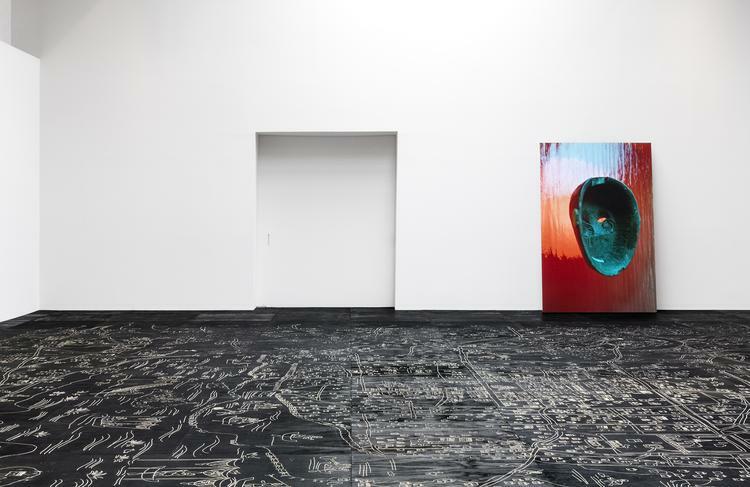 In 2014 she had a solo exhibit at CCA Glasgow and the previous year her work was on view during the Preis der Nationalgalerie für junge Kunst in Berlin. 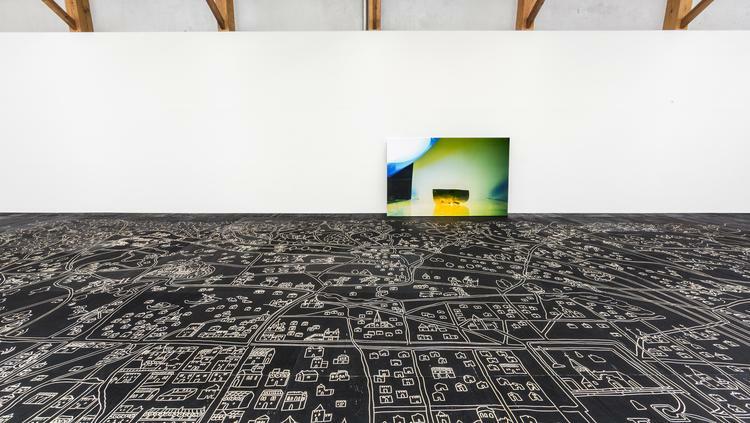 She participated in dOCUMENTA (13) in Kassel and is currently included in the 8th Berlin Biennale. 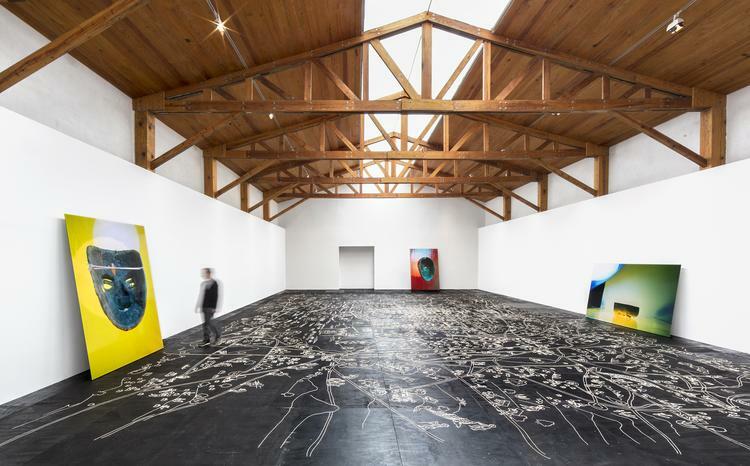 Having exhibited at the Museo Experimental El Eco in 2011, Castillo Deball returns to Mexico with Vista de ojos, her first solo show at kurimanzutto. Like her previous exhibitions, Vista de ojos is the result of a long research process. Drawing from ethnographic collections, libraries and historical archives, she seeks to initiate a dialogue with institutions and museums beyond contemporary art. Castillo Deball’s work establishes a close link with literature, philosophy, the history of science and archaeology from which she adopts different methodologies to incorporate them into her own practice. Her multidisciplinary approach allows her to study the different ways in which a historical object can be read today. 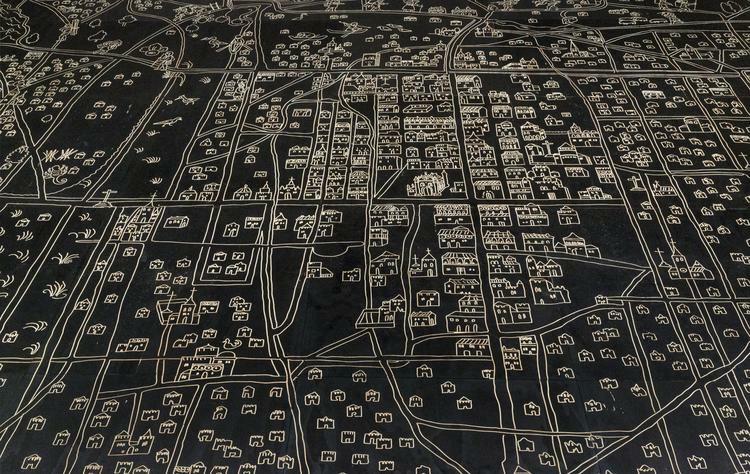 This interest is reflected in the centerpiece of the exhibit, Vista de ojos (2014), a wooden pavement engraved with the drawing of the Uppsala map (1550) that represents Mexico City and its surroundings. 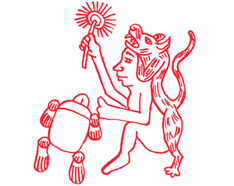 The original drawing was created by an indigenous cartographer or Tlacuilo, and is considered to be the oldest with such a detailed and reliable representation of the capital some thirty years after the conquest. The center of the image shows the layout of the city with the buildings lined up along straight streets. The houses belonging to the conquerors and the first settler’s, shaped as European buildings, compose a series of uniform city blocks. On the outskirts one can see the indigenous settlements and their inhabitants engaging in everyday activities. One can still read the dedication to Emperor Charles V at the bottom right of the map. Parts of the name “Santa Cruz” are also legible, which is why it was believed for a long time that the author was Alfonso de Santa Cruz (1505-1567), Seville’s Royal Cartographer. However, subsequent research assures that a Tenochtitlan/Mexico inhabitant, an Aztec with European education, painted the map. It is known that Alfonso de Santa Cruz visited the south of the American continent but that he never visited Mexico, and both the construction and the content of the map reveal that whoever created it was a connoisseur of the places and inhabitants of the country. The original map was painted in green, blue and grey on two sheets of parchment roughly the same size joined vertically, giving it a size of 114 x 75 cm. The multiple symbols on the map (heads, animals, stars, rings, etc.) represent the names of places in Nahuatl. The document gives detailed information about the capital’s social life and everyday activities, as well as the geography, flora, and fauna of Mexico City during this period. Close to a tautology, the expression Vista de Ojos was commonly used within the cartography slang of the sixteenth century, when the layout of the city transformed radically from a lacustrine to a European outline. Even though the city that is represented in the drawing holds few similarities with todays Mexico City, some areas are still recognizable, such as Chapultepec, Tacubaya, Tlatelolco, Xochimilco and the historic-downtown. 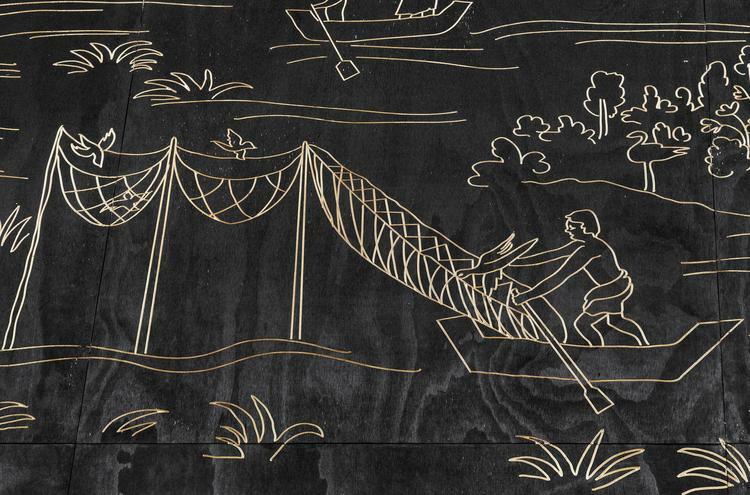 Texcoco’s Lake has a prominent role in the map, which is why all trades related with this area such as fishing and the hunting of birds and other species have been depicted. Presently, the original map is located in Sweden, although the exact circumstances of its acquisition remain unknown. The only existing theory is that it was bought by Swedish linguist and traveller, Johan Gabriel Sparwenfeld, in the late seventeenth century during his stay in Spain and was later donated to the library of the Uppsala University. The wooden pavement also serves as a printing matrix. The complete surface of the map was printed on paper and bound as an atlas, each page corresponding to a fragment of the Uppsala map. 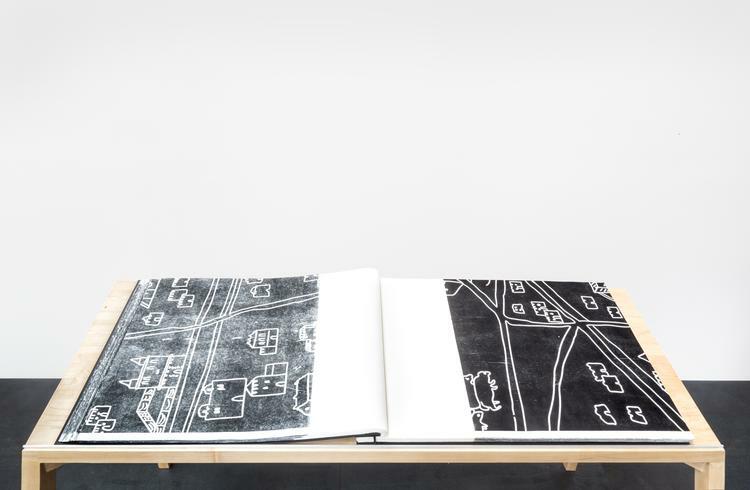 Although this volume does not allow for a complete understanding of the drawing, it invites us to reflect upon the public space of the city and the way information is stored. Schizophrenic patients sometimes hide behind a mask of psychotic withdrawal, which can make them inaccessible to therapy. Remove the mask of the psychotic patient. This pamphlet was illustrated with images of Mexican masks with extravagant and texturized color backgrounds, which was in turn a translation of the American advertisement for the same brand. The original version used the African and Canadian equivalents of these masks. Mimicking the style of the promotional folder, UMRISS (2014) uses examples from the Mesoamerican collection of the Ethnographic Museum in Berlin; acquired at the beginning of the twentieth century and originating primarily from the south of Mexico and Guatemala. The photographs in the exhibition depart from the original ones in that they only show the backside of the masks. The installations, performances, sculptures and editorial projects of Castillo Deball explore the way in which different disciplines describe the world, and how each of them present a version of reality that informs and blends with others, resulting in a polyphonic panorama, a space for reflection. 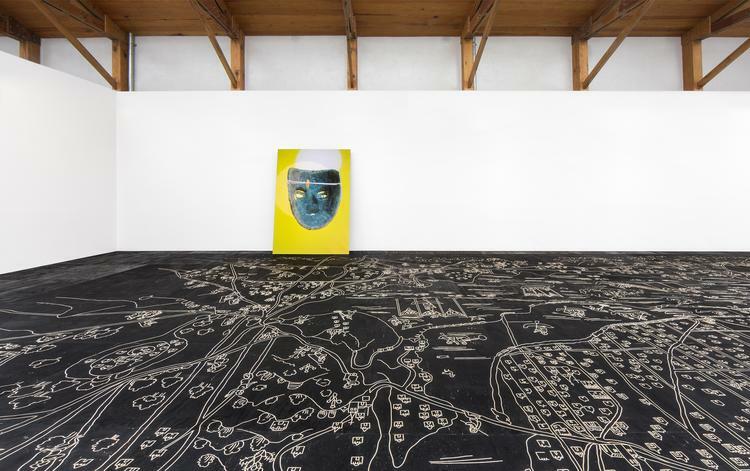 Mariana Castillo Deball received the Nationalgalerie für junge Kunst Award in Berlin in 2013, the Zurich Art Prize in 2012 and the Prix de Rome in 2004. She has participated on the 8th Berlin Biennale, 2014 and on dOCUMENTA (13) in Kassel, 2012. 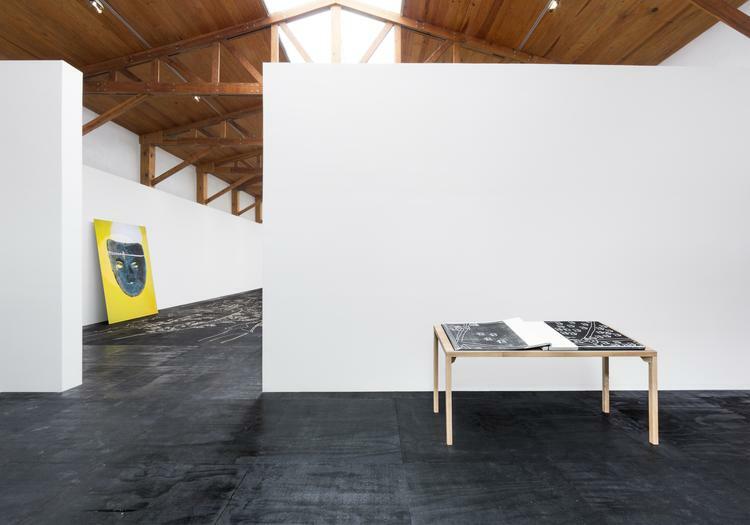 During 2013, her individual work was shown at the CCA Glasgow, Chisenhalle Gallery in London and TEOR/éTica in San José. In 2012 the Museum Haus Konstruktiv in Zurich hosted her exhibit Uncomfortable Objects. 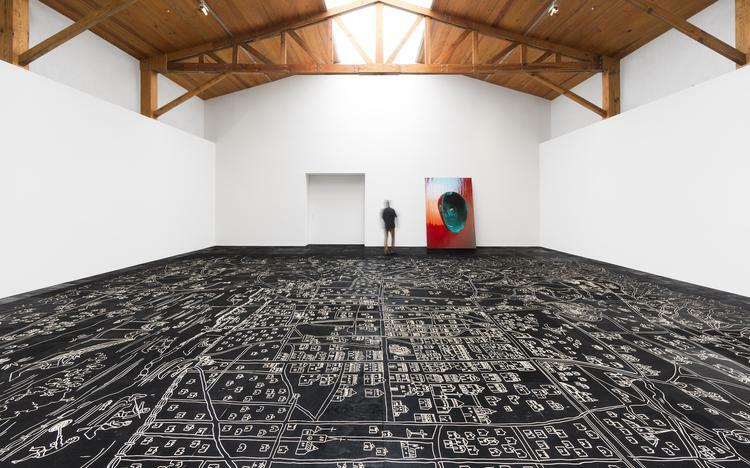 Both the Museo de Arte Contemporáneo Carillo Gil in 2006 and the Museo Experimental El Eco in 2011 have shown her solo exhibits. Castillo Deball has had artistic residencies at DAAD in Berlin and at Capacete in Sao Paulo. She currently lives and works in Berlin and Mexico City.